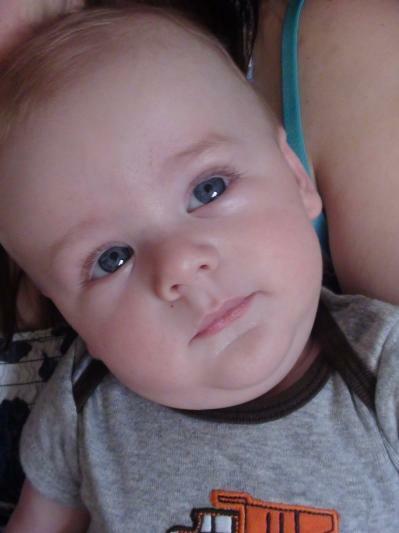 Parker was born July 10, 2012 in Bakersfield CA, a seemingly healthy baby boy. 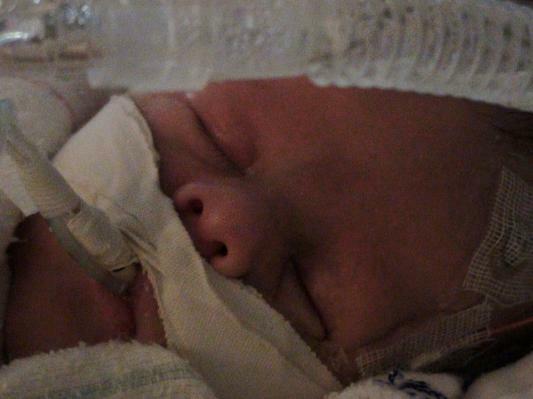 Though he was 5 weeks premature, we were told he was perfectly fine, and would not require NICU care. After about 72 hours, Parker's health began to decline, requiring him to be air-lifted to UCLA when he was only 9 days old. Upon admission, we felt very comfortable, and felt as though our son was in the best hands. Within a week, Parker had been diagnosed with a devastating genetic disorder called Nonketotic Hyperglycinemia. Parker was immediately put on medication, medication that with the help of his doctors, has kept him with us today. Parker is a regular patient at UCLA, and is seen by a pediatric Neurologist and Geneticist. Our son may be very sick, but we feel as though he has the best team of doctors following him and they are all trying their hardest to keep him here as long as possible. Without a prompt diagnosis, our son would not be sitting here on my lap. As soon as he arrived via helicopter, tests were started and a diagnosis was determined quicker than we had expected. I have no hesitation driving my son 2 hours to a doctors appointment when I know he will definitely get the best care possible, from our UCLA family!